A terrific way to earn some extra cash when running a business is by using the right business credit card. Depending on how much your business spends, the potential savings could be thousands of dollars. Small business credit cards are valuable when used properly. In addition to earning rewards, you can use them to track spending and manage employee cards. You can also earn a nice initial signing bonus. 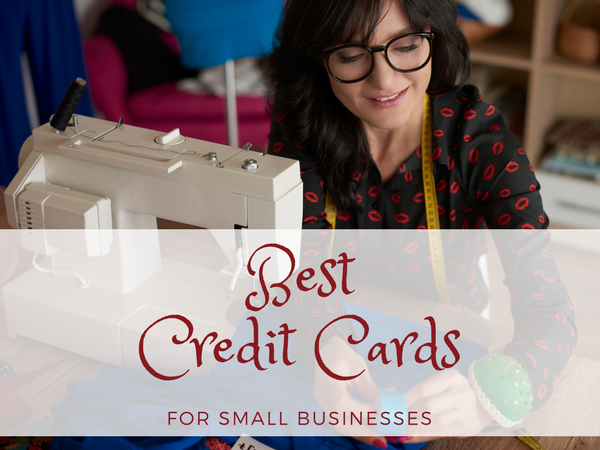 Below, you will find a list of the best small business credit cards available to you today. Pay close attention to the details of each card. Try to match your spending habits to the card that will earn you the best rate of return. Feel free to ask any questions you might have about business credit cards in the comments section. We are happy to help! 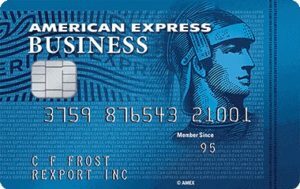 SimplyCash® Plus Business Credit Card from American Express – Earn a $200 statement credit after spending $5,000 in the first six months of owning the SimplyCash® Plus Business Credit Card from American Express. Earn another $200 if you spend an additional $10,000 in the first year. All together that means a $400 statement credit for spending $15,000. You earn 5% cash back at office supply stores and on wireless telephone service. You’ll also earn 3% cash back on a category of your choice and 1% cash back on all other purchases. If you’re in need of a little interest free purchasing, this card gives you the first 9 months on the house. Once the 0% intro offer for 9 months expires, the standard APR becomes 13.24% – 20.24% variable. 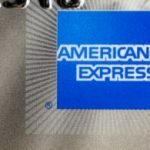 There is no annual fee to own the SimplyCash® Plus Business Credit Card from American Express, and if you need to spend a little bit over your credit card, American Express is happy to offer expanded buying power. Biggest CON – Foreign transaction fees of 2.7% are charged. Keep this card in the United States! 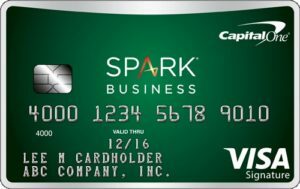 Capital One® Spark® Cash for Business – Big cash back bonus alert! When you spend $4,500 in purchases during the first three months, the Capital One® Spark® Cash for Business will give you a $500 cash bonus. A no-nonsense small business credit card, you’ll earn 2% cash back on EVERY purchase. No categories, no tier levels, no expiration dates. The amount of cash back you can earn in a calendar year is unlimited and so long as the account is open, the cash rewards are available to you. Biggest CON – $59 annual fee after year one. 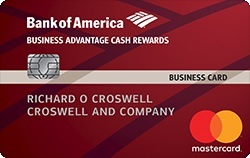 Bank of America® Business Advantage Cash Rewards Mastercard® – After opening up a Bank of America® Business Advantage Cash Rewards Mastercard® and spending $500 in the first 60 days, you’ll earn a $200 statement credit. The two month time-frame is quick, but the $500 spend hurdle is the smallest on this list when it comes to initial bonuses. Bank of America is well known for their 3/2/1 cash back platform, and this business card is no different. Earn 3% cash back at the gas pump and at office supply stores, 2% cash back at restaurants, and 1% cash back on all other purchases. There is a $250,000 max spend limit on the 3% cash back tier (so you’ll earn 1% cash back after you’ve reached that amount in spending). Two additional perks to mention for the Bank of America® Business Advantage Cash Rewards Mastercard®: There is a 0% introductory APR on purchases for the first nine billing cycles, and there is no annual fee. Starwood Preferred Guest® Business Credit Card from American Express – The ongoing rewards program offers up to 5 Starpoints per dollar spent at SPG Hotels. You earn two Starpoints per dollar spent on participating Marriott Rewards hotels. You’ll also earn a single Starpoint on all other purchases. New cardholders can earn 25,000 bonus Starpoints after spending $5,000 in the first three months of card ownership. 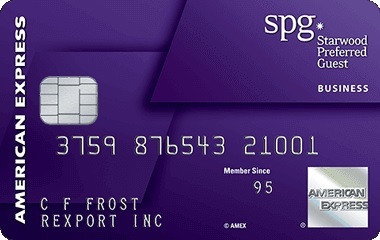 The Starwood Preferred Guest® Business Credit Card from American Express offers access to the Sheraton Club lounge for free, a 5,000 Starpoint transfer bonus (when you transfer 20,000 Starpoints to a participating frequent flyer program), and free on-site Wi-Fi. There is a $95 annual fee, but it’s waived for everyone the first year. 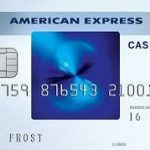 The Business Platinum® Card from American Express OPEN – Who wouldn’t love to start off with 75,000 Membership Rewards points? 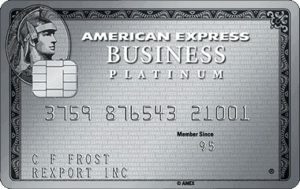 Well if you decide to own the Business Platinum® Card from American Express OPEN, that’s exactly what you can do. 50,000 bonus Membership Rewards Points are earned if you can spend $10,000 in the first three months, and another 25,000 Membership Points are earned if you spend another $10,000. That means $20,000 in three months, so hopefully your business has a lot of spending to do early! The Business Platinum® Card from American Express OPEN’s main attraction comes from its travel rewards. Five points are earned for every dollar spent on flights and hotels when you book through American Express. 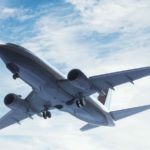 You’ll also earn a 35% redemption bonus when you use your points to to pay for an airline fare and a 50% point bonus on all purchases over $5,000. You earn one point for every dollar spent otherwise. Cardholders will also earn a $200 credit every year for baggage fees and other airline fees. The Business Platinum® Card from American Express OPEN also provides access to over 1,100 global airport lounges. Keep in mind that this is a charge card, so you must pay off your purchases every month and no interest is charged. And the fee for all of these perks? A hefty $450 so make sure you’re taking full advantage of everything you see above. 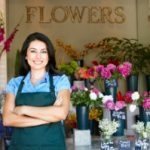 Ink Business Cash(SM) Credit Card – After spending $3,000 in the first three months, you’ll earn a $500 cash bonus on your new Ink Business Cash(SM) Credit Card. In addition to a great up-front bonus, you’ll earn a great tiered cash back rewards program. 5% cash back on the first $25,000 spent annually at office supply stores and utilities. 2% cash back on the first $25,000 spent annually at gas stations and restaurants and 1% cash back on everything else. 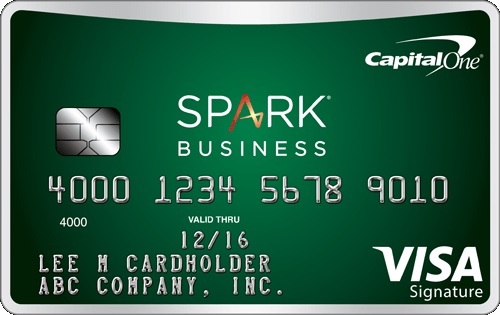 An introductory 0% APR on purchases and balance transfers is also provided to new cardmembers with employee cards coming at no extra cost. 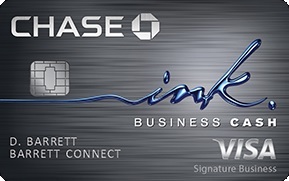 The Ink Business Cash(SM) Credit Card has no annual fee.